Recently installed new windows, doors and roof. 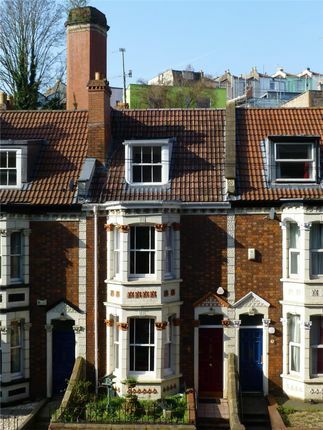 An opportunity to acquire a rare freehold Victorian house so close to the Harbourside. The location is ideal for city living with it being on your doorstep. The house offers four double bedrooms, all with fitted wardrobes, two reception rooms, separate kitchen and a conservatory. Within the large West facing garden is a real sun trap of a patio area, ideal to host friends & family. The garden is intriguing with it being on different levels, having two ponds and even a WW2 air shelter. Very recently the current owner has put in new UPVC windows and doors as well as a new roof being fitted. Property descriptions and related information displayed on this page, with the exclusion of Running Costs data, are marketing materials provided by Andrews - Harbourside, and do not constitute property particulars. Please contact Andrews - Harbourside for full details and further information. The Running Costs data displayed on this page are provided by PrimeLocation to give an indication of potential running costs based on various data sources. PrimeLocation does not warrant or accept any responsibility for the accuracy or completeness of the property descriptions, related information or Running Costs data provided here.